If you are familiar with outsourcing your logistics then you may have heard the term “White Glove Logistics.” Despite its name, this service means much more than crews who wear white gloves while handling your shipment! Instead, white glove logistics (also called “last mile services”) refers to the level of service that your shipment will receive and the care with which your goods will be handled. Whether you are relocating a data center or you must transport high-value medical equipment, white glove logistics ensure that your shipment receives an extra level of attention along every step of its journey to guarantee that it makes it to its final destination safely and efficiently. White glove logistics ensure that your shipment receives the extra attention it requires. What are the benefits of white glove logistics? At AFP Global Logistics, we understand that you need to be able to trust that your shipment will be handled with care while adhering to a strict time schedule. Our white glove logistics will go the extra mile to ensure that your goods are picked up, transported, and delivered on-time and intact. Whether you have one high-value item that needs to be shipped or an entire truckload, we will treat your goods with care and respect. If you have specialized goods such as medical equipment that need to be treated with extra care, we have the solution. Whether you need a trailer that is climate-controlled or delicate goods that require blanket wrapping, the logistics experts at AFP Global Logistics can ensure that your shipment is treated with the care it requires. By trusting your sensitive shipment to AFP Global Logistics, you can rest assured that we will come up with the right customized solution for your goods and we will see it through every step of its journey. 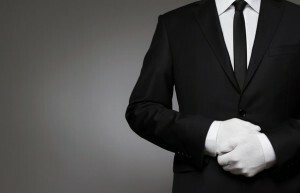 When you need an experienced White Glove Logistics provider, AFP Global Logistics is the best and only choice! We provide a full range of customizable shipping services, and our 25 years in the business have given us the tools we need to tailor our logistic solutions to each and every individual customer. For more information or to start designing your own logistic solutions today, get in touch with AFP at 410.590.1234 (toll-free 800.274.1237), email us at info@afplus.com, or fill out our quick and easy contact form here! This entry was posted on Friday, May 27th, 2016	at 9:46 am	and is filed under Business Basics	. You can follow any responses to this entry through the RSS 2.0	feed. Both comments and pings are currently closed.